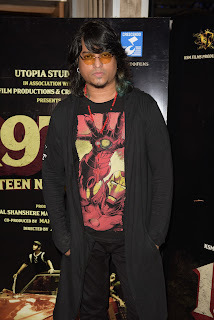 "After the success of the movie Stree, I think movies of the horror genre will be more excepted" says Aziz Zee. "1978 Night Out" - A twisted supernatural thriller marries elements of horror, thriller & super natural to create a cocktail that will give audience the 'chills'. "I have always been unconventional with my choices as a director. Yes, horror is a genre that we have not tapped into. I don’t want to divulge any details about the film but it’s definitely something that we have not seen before on our screens" adds Aziz Zee. Asked about the unusual title, Aziz Zee said "I kept this title because I wasn't getting a title for a suspense thriller as numerous films have come up. This title builts a sense of inquisitiveness among st the audience . The whole film is a suspense thriller. We thought of numerous titles but it didn't sound strong enough"